Sachin: A Billion Dreams, one of the highly anticipated movies of the year, will be hitting the screen on May 26, 2017. The makers released theme song of the movie 'Sachin Sachin' last week, which is a pakka fan-boy song which is sure to cherish Sachin's memories in the hearts of fans. In a recent press meet, the makers spelt a few insights on the film. 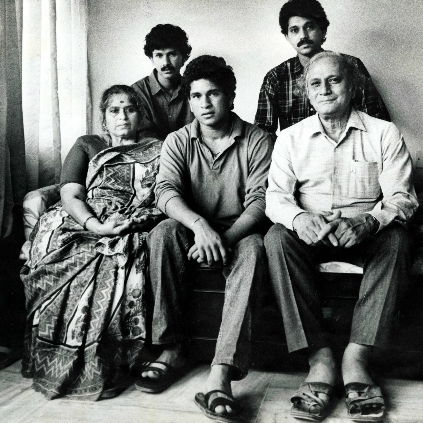 The film is directed by James Erskine, who said, apart from showcasing Sachin's struggle to become one of the greatest cricketers, the movie will also get on to his personal space to showcase his family behavior towards his parents, wife, siblings, children and friends. The director also said that the movie is packaged in a way where a common man can relate to Sachin's portrayal and will also be highly motivating to see his journey and achievements. Just In: Anirudh announces his 4 projects of 2017! Wow! 150 celebrities to come together for Arjun! Bangalore to have a fixed ticket price? Official clarification on Superstar Rajinikanth - Ranjith project rumour! Dhanush to do it for this actor! People looking for online information on Sachin, Sachin A Billion Dreams will find this news story useful.